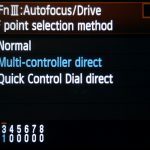 Canon has CPS (Canon Professional Services), Nikon has NPS (Nikon Professional Services), if Fujifilm wants to seriously go after the pro segment, Fujifilm absolutely needs an ‘FPS’. The ‘professional services’ provided by Canon and Nikon is an elevated service agreement paid-for by the customer. As a CPS member myself I value the privileges of a few free sensor cleans a year, expedited repair services, free one-way postage, rental equipment and on-site services at some major events. Fujifilm has provided photographers a venerable lightweight alternative to bulky SLR’s in their high-end ‘X’ series mirrorless cameras like the Xpro2 and the XT2. I have faithfully began utilising their products commercially at some events and lifestyle shoots. Recently however while on a 2 day shoot the rubber eyepiece on my Fujifilm Xpro2 came off for the second time in months. Unlike a mirror-box that needs replacing (Canon 1D3 I’m looking at you), this scores far lower on the pain scale but I was slightly disappointed to learn that Fujifilm Australia does not have a ‘Fuji Professional Services’ customer care system of it’s own. The slow but gradual rise of Fujifilm cameras hanging around the necks of professional photographers at various major international events, Fujifilm will have to address this at some stage as they are beginning to be taken seriously in the professional segment and will require some kind of professional service to keep pace with what pro users have been accustomed to from Canon and Nikon. Aside from the inconvenience of not being able to use a substitute Fujifilm camera for a week – the service and communication from Fujifilm Australia was excellent given that the camera was also out of warranty! Copyright © 2016 corleve. All Rights Reserved.